Irene Pollin has been a pioneer in many areas of women’s health. She was motivated to start Sister to Sister in 2000 to get the word out to women – especially to working women, who have no time to take care of themselves – that cardiac screenings are a key factor in heart disease prevention. 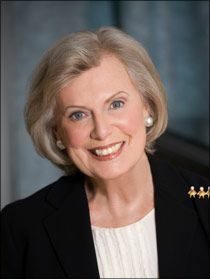 A psychotherapist with a Master of Social Work degree from Catholic University and an Honorary Doctor of Humanities degree from Howard University, Mrs. Pollin is the author of two books, Medical Crisis Counseling and Taking Charge: Overcoming the Challenges of Long-Term Illness, and has written many articles on coping with chronic illness. She has received numerous healthcare awards and is a member of the Harvard School of Public Health Nutrition Round Table, the DHHS Office on Women’s Health’s Heart Attack Campaign Expert Panel and American Women for International Understanding.